2011 was an amazing year. I’ve had an extreme mix of travel experiences and I am utterly grateful for all of them. I am thankful that my desire and love for traveling had not diminished. And I am truly grateful that I was able to spend the year exploring new places while reaching personal travel goals. So now I want to share with you my favorite travel memories from the past year. 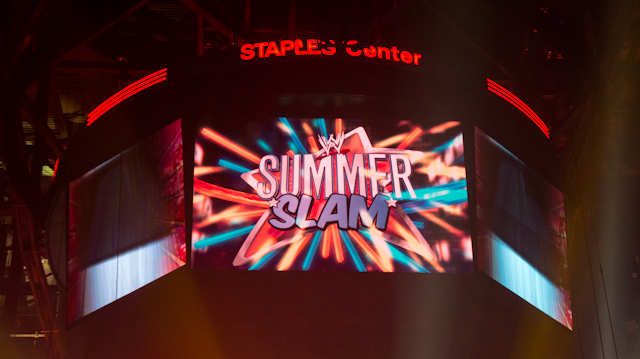 It might sound a bit corny to most but my #8 travel experience of the year was going to Los Angeles to watch the WWE Summer Slam. It’s not everyday that I get to travel with new people and take part in something different. 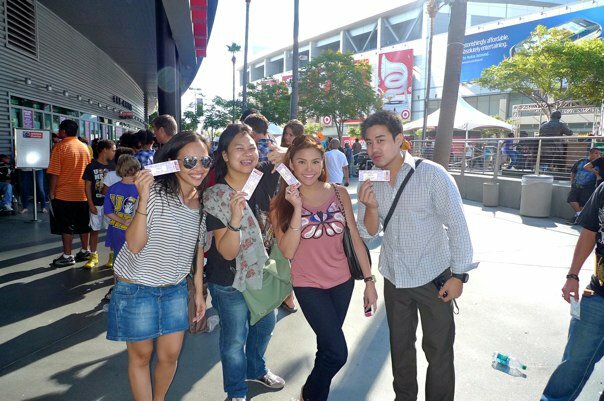 One of my friends won a WWE Summer Slam promo. He was allowed to bring one friend and since his girlfriend as well as closest guy friends couldn’t go, he gave the ticket to me! And who would turn down an all expense paid trip??? It was a blast! For those of you wondering if I’m a WWE fan, I’m actually not anymore but I know who some of the wrestlers are. I used to be a huge fan when I was younger though. I even watched them live when they went to Manila when I was still a kid. We only stayed for 5 days but we were able to do so much. We were the ultimate definition of LA tourists and it was great!!! I missed being just a regular tourist on tour. We went to Universal Studios and the King Kong 360 3-D (studio tour) was pure magic!!! 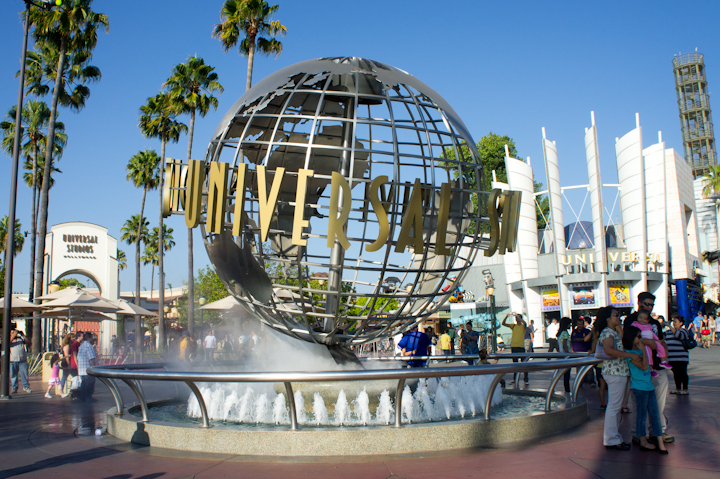 I missed Universal more than anything because the last time I was in LA I was pregnant so couldn’t go. We also went to the outlets which was really fun for me because I hardly shop when I travel. 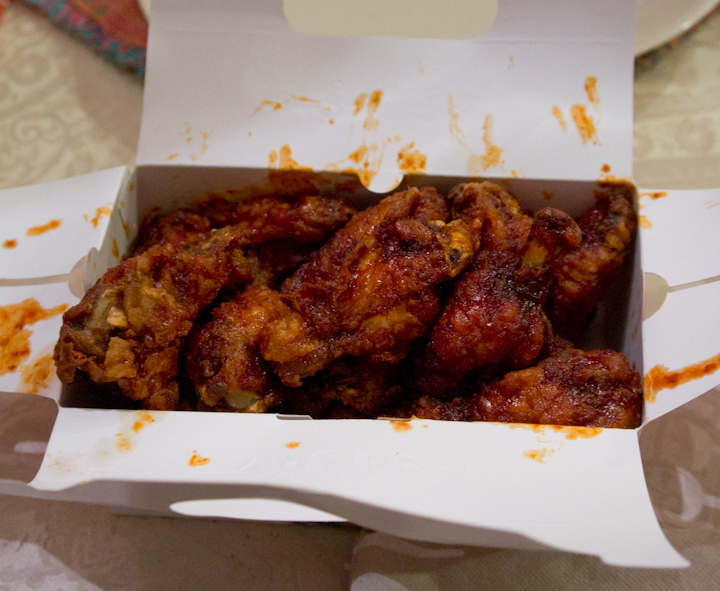 I was able to try KyoChon (in Korea Town) which I constantly crave now and which Bonchon can never replace. 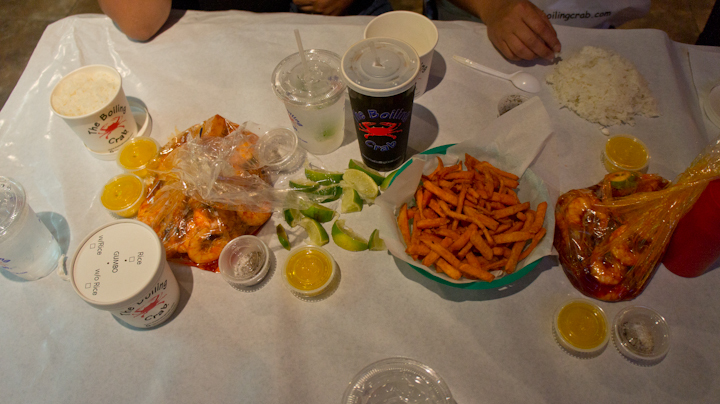 I was able to have dinner at The Boiling Crab which was mind-blowing! 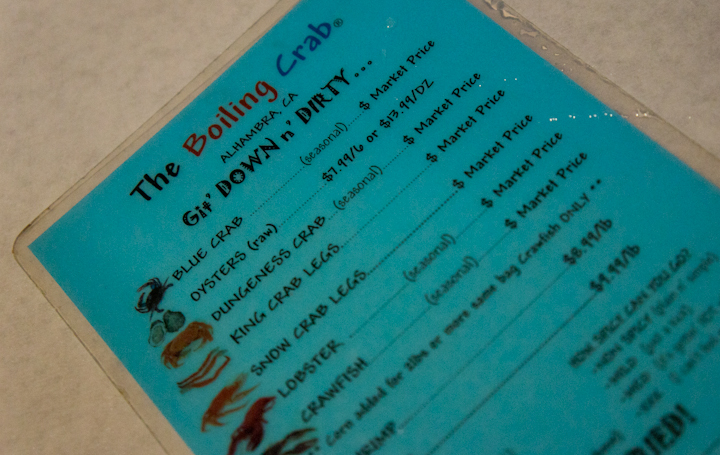 The food was fabulous and it is now definitely one of my all time favorites. 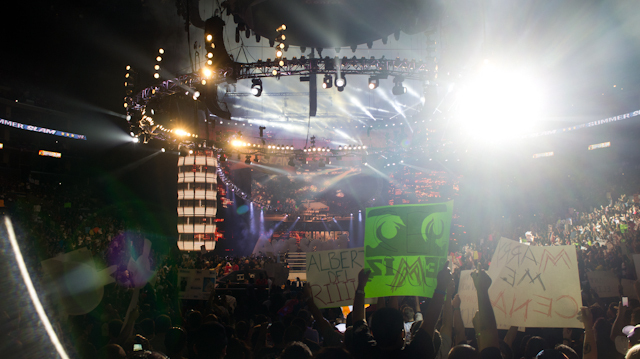 But of course my favorite was being able to watch WWE at the Staples Center. The energy at the stadium was infectious. Our seats were awesome and it was really exciting. And even though we all knew it was fake, it was still as entertaining as ever. As a bonus, Cee Lo Green performed live and I loved him!! Great memories. New friends. It couldn’t have gotten any better than that. It was truly a trip worth remembering.